As the semester comes to an end, the clock is ticking on most of our undergraduate journeys. The day when we can throw our caps in the air and say goodbye to student life and say hello to bills, paying back student loans, and working full time. As students, we equate graduating with achieving nirvana; a place without suffering and pain. However, this blissful feeling won’t last long as the pressure to find a job has already started to kick in. With our diplomas framed and our resumés polished, graduation officially marks the time where we can no longer rely on our part-time minimum wage jobs. We have to start finding a full-time salary job in our field of study; or at least that’s what we believe. Reality is, most of us graduating will struggle to find a job that we actually like or struggle to find a job at all. We will likely end up working an entry-level job which we settle for because we’re desperately trying to repay our $50,000 student debt. 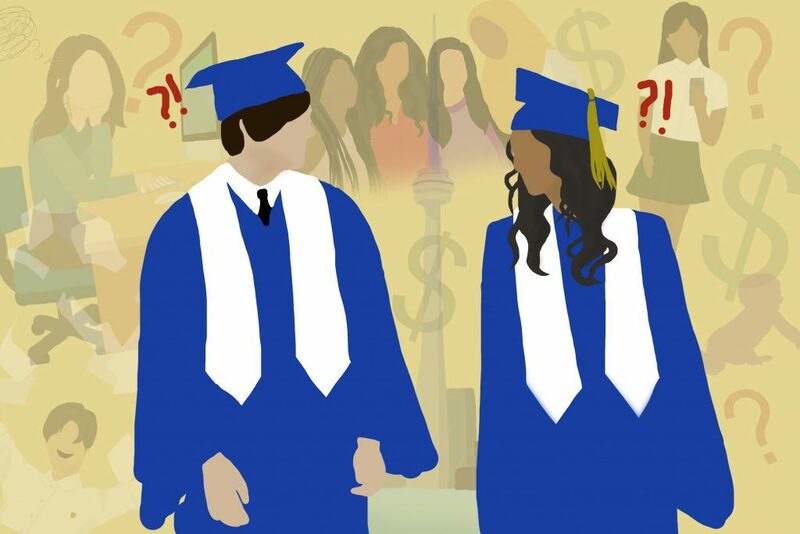 There is a standard life path that somehow defines how successful we are after university: graduating, getting a perfect job, moving out, and starting a family. Society convinces us that once we have ticked all those boxes, we will be happy and complete. Most of the pressures of graduating are self-inflicted. We believe there’s a standard to success we must meet and we must reach that standard fast. Ironically, as we are free from the constraints of student life, we willfully place ourselves into the constraints of adult life. We spend our time obsessing over why we didn’t get an interview for that position we thought we were perfect for. But we often fail to consider how our jobs do not define the type of people we are or will become. In fact, our unhappiness doesn’t derive from being unemployed or still living at home. It’s because we’re obsessing over why we aren’t doing well enough and comparing ourselves to others. Not everyone needs to take the same path towards success. It’s what we tend to forget as a society. It’s our individuality that makes us great, and sometimes focusing on getting a well-paying job after university isn’t the path. Taking some time to travel, spend time with family, finally reading the books you wanted to read and learning who you are when you’re not a student is also valuable. They might not give us monetary satisfaction but the experiences and feelings we’ll receive will certainly last longer than the temporary high of cashing a cheque. There’s no doubt that it’s important to get a job after university, but if there’s anything university has taught us, it is to enjoy the good times while they last. When the time is right, you’ll get the job you were always hoping for. So in the meantime, enjoy the little time you have to yourself.